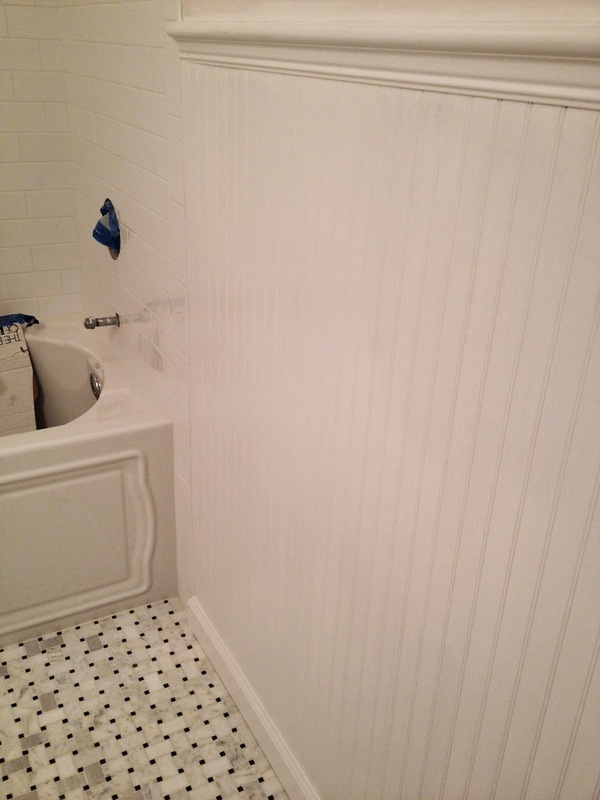 Bead board installation is complete…primer and first coat of paint in place. The walls still need their paint – will choose final color soon. All is coming together nicely. 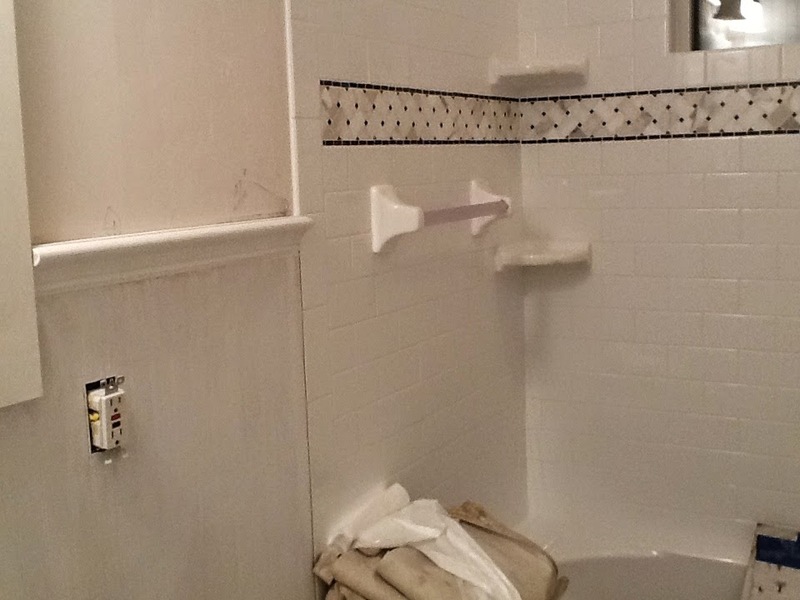 Ignore the pink tint…not sure why it is there…the bead board will be white. Water fixtures are due to be installed in two days. Can’t wait.